For those wanting to complete an 80% lower that is custom engraved with your info, I have ordered a couple from different sources. 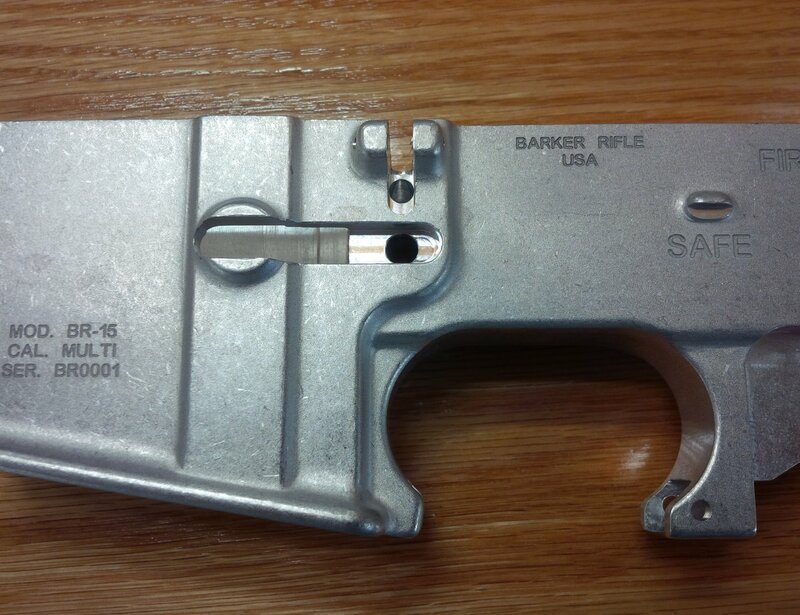 If you want a great winter project, completing a custom engraved 80% lower can be very rewarding. Here is some info on the two sources I have ordered from..
ManVenture Post (first photo) - The processing time is agonizingly slow (30 or so days to ship), but quality of the engraving is good. Tactical Machining (photo below) - Shipping time is better. Received the custom engraved 80% lower in about half the time as ManVenture Post. Quality is good and offers standard/custom graphics for magwell engraving along with the all the custom placement for standard text. KD, another fine link! Bookmarked. Can't wait until you build the Junior Samples model with serial number BR549. Thanks for the link!